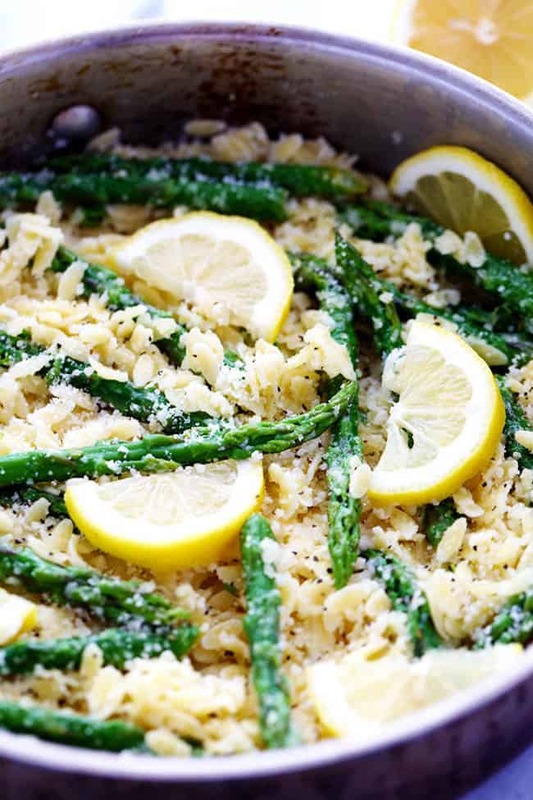 A buttery lemon parmesan garlic sauce coats orzo pasta and gives it such amazing flavor! 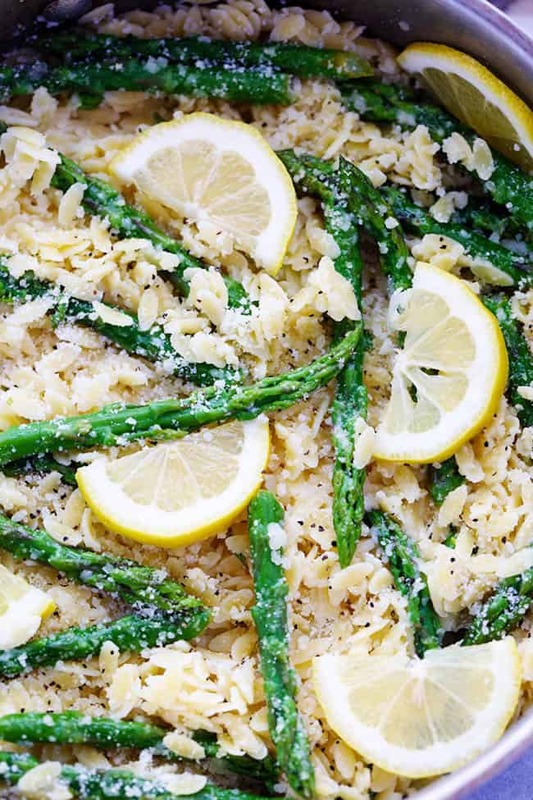 It gets tossed with asparagus and makes one delicious meal! We made our weekly trip today to Costco. They know me by name there. But my boys are already starting to eat like teenagers and it takes a lot of food to keep them fed. Isn’t Costco awesome? You go around lunch time and get samples to eat while you are there. My little girl especially loves the “Gotgo” trips with me. I love asparagus and love that it is in season right now. You better believe that I buy that in bulk at Costco and can’t get enough of it. I love to add it to recipes when I can and this recipe turned out AMAZING! I wanted to make a pasta with a buttery lemon parmesan garlic sauce. I knew that orzo would be perfect for this dish. The flavor is INCREDIBLE! Like so good that you can’t stop eating it. I especially love the asparagus that was hidden throughout. It brought the dish together perfectly. This makes a great side dish or even a meal! You are going to love the flavor of this dish and you will want to make it again and again! Cook the orzo in a large pot according to package directions. Add the asparagus the last 3 minutes of cooking. Drain. In a medium skillet over medium heat add the butter. Next add the garlic and cook for 2 minutes. 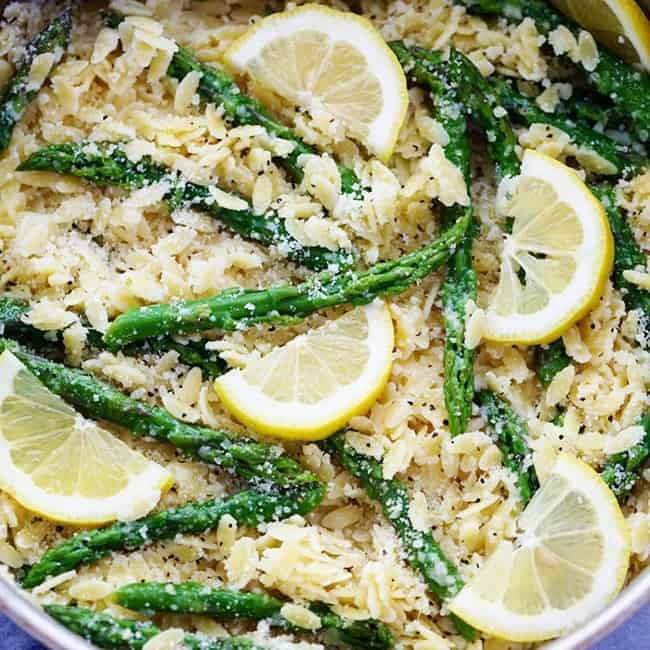 Remove from heat and add lemon juice, and parmesan cheese. 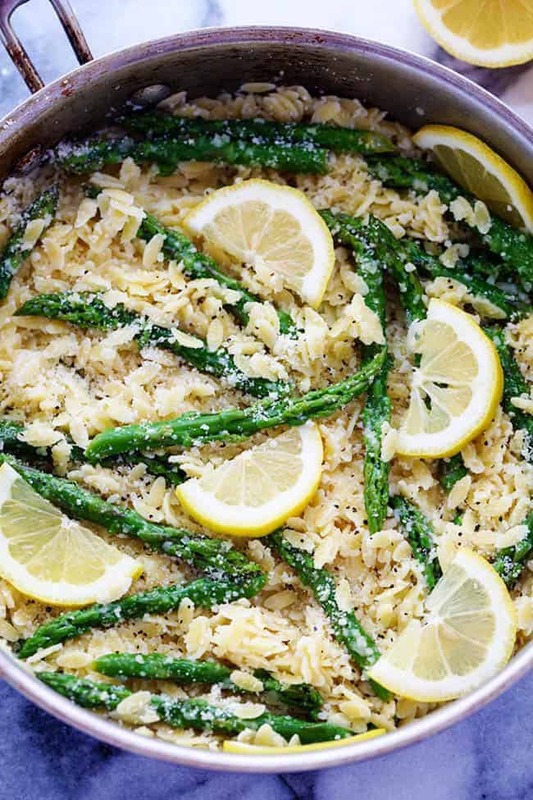 Add the orzo and asparagus and toss. Salt and pepper to taste and serve immediately.